Our Family suite consist of parent's king-size double bedroom and ensuite with walk-in shower & adjoining childrens bedroom with bunk beds and ensuite with shower over bath, the family suite is perfect for a family getaway. 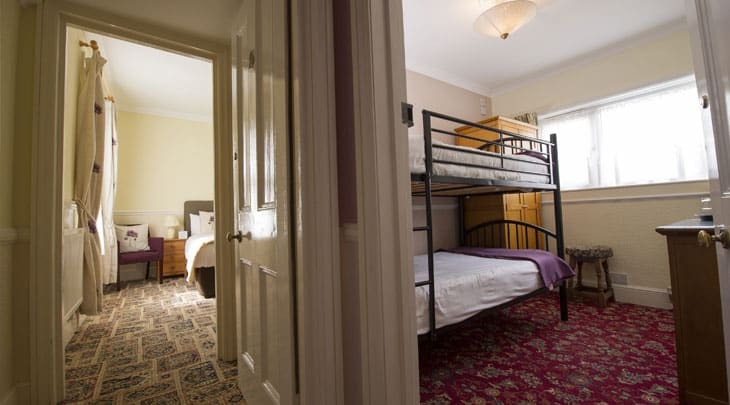 The 3' bunk beds are suitable for children aged 10 - 17, please note that The Clifton does not accommodate children younger than 10 years. 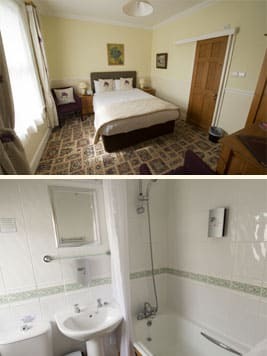 Flat screen televisions are in both rooms, other facilities include a hair drier, desk fan, luxury eco-friendly toiletries, and hot drink refreshment tray.